Small sparks of GW2 news continue to sputter and spit from the embers of PAX Prime, starting scattered brush-fires across the blogosphere. For example, we learn from Colin Johanson that the coming of raids does not presage the addition of any kind of Raid Finder functionality to the game. "We have content that you don’t have to group for and some that you can do in ad hoc groups. Basically, you can go anywhere you want to join in with other players already." (An actual Johanson quote). Or, if you will, "Get lost, scrubs. Go back to petting quaggans in Lion's Arch and throwing snowballs at those Norn kids in Wayfarers. This is content for real gamers." (Me, taking umbrage). A raidfinder would be kinda pointless anyway, since we already have our own ramshackle but perfectly effective LFG tool. It's been taken closer to heart than any similar player-controlled grouping mechanism I've encountered elsewhere and no doubt it will get plenty of use for raids. It's not making up 10-man groups that's going to be an issue, it's what you do with them when you've got them. Jewel has an absolutely fantastic rant up in which she rips into ANet mercilessly over their radical change of direction. I hope someone at the company reads it and passes it around. Aywren has a more measured but equally devastating take on where it all went wrong. It's wasted on those of us still trying to cobble some kind of shelter together out of the wreckage of the game. We shuffle and cough and make excuses and work out coping strategies while all around us the barbarians tear down the walls and butcher the innocent. Kind of like Neebo Terrace gone global. "I just don’t get why they keep feeling the need to change their game further and further away from the original vision. The vision I, and many other people fell in love with. A design that was unique and a breath of fresh air within the industry." "ArenaNet is taking over the publishing of Guild Wars 2". Wait? What? What does that even mean? They're still owned by NCSoft aren't they? So what does being their own publisher give them that they don't have now? What does a games publisher actually do anyway? I feel this ought to be a big thing but I don't know why. Or how. I'm close to having had enough of all this. The very best news to come out of the whole sorry affair, possibly the only good news, is the confirmation that "moving forward, everything brand-spanking new coming to the game will be specifically designed for players who have bought Heart of Thorns" and that the "story itself has moved to Maguuma", meaning "new Living World updates will happen over there". Why's that good news? Because it means they are going to leave the rest of Tyria the hell alone, that's why! "After the announcement of HoT, many players were concerned that the old game content would be left in the dust. Unfortunately, that is partially true." "After the announcement of HoT, many players were hoping that the old game content would be left in the dust. Unfortunately, that is only partially true". Even as I wrote this some more bad news arrived, Well, news about news. More content I don't want and won't use for me to ignore, I imagine. I'm getting good at that now. I should be. I'm getting enough practice. If it wasn't for the SMS requirement I'd be making a F2P account right this minute, just to guarantee that I can go on living in my blinkered, siloed, tunnel-visioned, rosy-tinted spectacled, old-school bubble. Given that I don't own a mobile phone I'll just have to settle for my two non-HoT accounts when I need to go to my Safe Place. How long before the demands for a "Classic" GW2 server begin? I'd totally play a Classic GW2 server as long as we get the classic GW2 cooperative attitudes back with it. The raid announcement was -it- for me, as I feel just like you and Jewel do. I made my blog rant yesterday, and I'm pretty much done. I'll keep watching GW2, but not for the reasons I did before - in hopes it turned a direction that would call me back. I think it's gone way too far afield for that anymore. I'm more curious now to see if this new direction will sink or swim. Oh I somehow missed your GW2 post (too much too read thanks to Blaugust means I probably missed a lot of things). I would have worked a link in if I'd known! I'll try and retro-fit one this evening. No time now. I guess we won't know whether the new direction was a good commercial decision until the second expansion arrives and we see what way that goes. So, somewhere around 2018. I feel for everyone who stuck with the game thus far. I've been disenchanted with ANet's changes for a while but this is just tragic. Makes you wonder if they aren't living in their own small bubble, too. Oh I hadn't even thought of the WildStar comparison. That really is an interesting one. At the moment I'm minded to move my focus from GW2 to WS but I have yet to convince Mrs Bhagpuss despite dangling the prospect of housing in front of her. She likes WvW too much. She is going to try WS though so we will see. There's just not one single thing in this expansion that interests me even slightly. I'm actually astonished that I have no interest in buying it, despite having enjoyed GW2 - not as an "all the time" MMO, but a lot - ever since release. The good part is the casual play should still be there in the existing/original game provided they leave it alone. There's still a lot there I have never seen or done even after three years. Sadly, that's where I am as well. Not a thing that interests me other than seeing more of the Maguuma. I'm vaguely curious if the bloodstone is still there, that's about it. However, I'm not quite willing to say I won't buy it. Right now I don't plan on buying it, but may change my mind at some point if it isn't as spammy, frentic and jump-tastic as it appears to be from this end. How BOUT those Time Locked Servers? "Nostaglia! Woooo!" Going backwards is beating going forwards, that's how. Dang. I must get back to Stormhold. My SK's beached at 24 right now. Yes! I just came home to that news, which I would definitely rate "good". I love zone invasions in MMOs - the Scarlet invasions were some of my favorite times in GW2 and I loved the Karka invasion that was so unpopular they changed the direction of the game as a result. Why were they banging on about how we should all get guilds for this coming event though? It doesn't appear to relate to guild membership at all. Maybe it's just this current obsession they seem to have with guilds. I'm totally baffled about that honestly. There doesn't seem to be any specific guild things in there. I hope it is the same chaotic fun that the Scarlet invasions were. "Inside the raid, you’ll find a variety of challenges laid out before you. One of the features that Guild Wars 2 is well known for is our event system, and you can expect to see a number of encounters that take advantage of this system—holdouts, assaults, captures, defends, and more! These event encounters are designed to put your group to the test in ways that have never been seen before in PvE. But these event encounters are only part of it, because every raid needs bosses." Seems like tequatl, marionette or silverwastes. 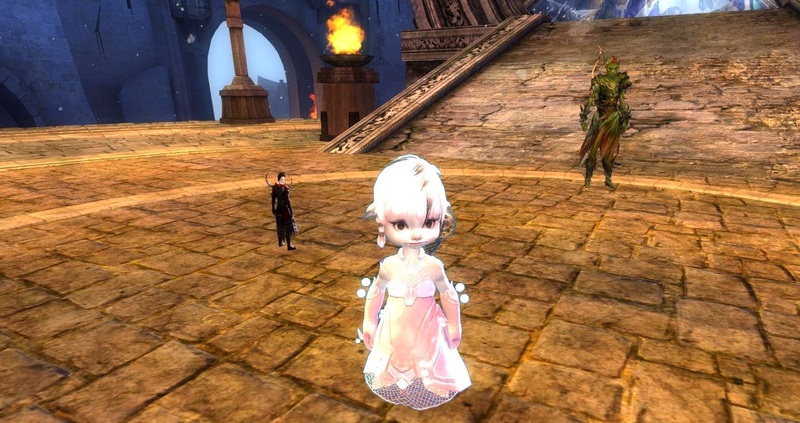 "Raid encounters work a bit differently from other types of instanced content in Guild Wars 2. At the core of each encounter is a challenge that we want you and your group to solve. These puzzles, so to speak, will require focus on team coordination, communication, and both build and play roles. Build roles are what you do at a character level. Things like what weapons, utility skills, traits, and even armor you choose to bring to a fight. Some encounters are going to push you to try different weapons you rarely use, some are going to challenge you to select traits you haven’t considered equipping before, and some encounters may even require a member of your group to dust off that toughness gear to bulk up and tank some heavy hits to protect the condition-build players in the back. 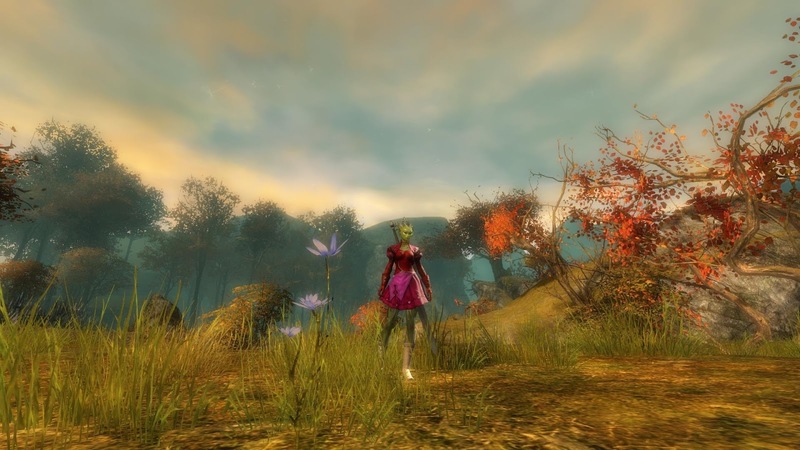 This is just a tiny sample of the types of build roles we want to push as a core part of Guild Wars 2 dynamic combat." This is, wait for someone to solve it and post it on the internet. Dungeons where players have to use toughness armor? The elitists of zerker gear might not like it. Well it does say "These event encounters are designed to put your group to the test in ways that have never been seen before in PvE." So presumably they shouldn't remind us too much of Teq etc. I loved Marionette. Possibly my favorite ever GW2 event. If raids turned out to be like that then I'll eat my dragon-horned helmet and gladly. I think it's more likely to be something like a super-ramped-up Molten Facility though. Again have to remember that Anet wanted dungeons to do what raids are now supposed to do in terms of difficulty. That's true. There's a whole other post to be written about the "you're not playing the way we wanted you to - you don't use the alternate trilogy, you don't change your builds, you all follow some stupid meta and WE ARE GOING TO BREAK YOU!!!" passive-aggressive undertone to the Raid ommentary ANet have put out so far. We didn't use the dungeons properly so now they are going to make sure we do what we were meant to in the raids. "You know, things got a lot easier when I realized I hated my players." I wonder how widespread that feeling is in Anet.